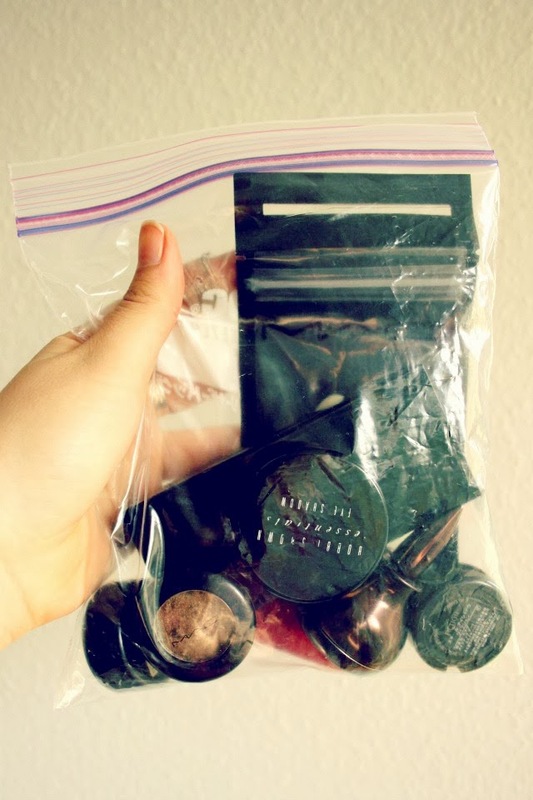 What she gave me, was a bag bursting with highly great and expensive cosmetics like MAC, Bobby Brown etc. My facial reaction at work was something like O_____________O I guess, since I did not expect that! I also wanted to own a MAC eyeshadow for so long and then she comes along and throws eyeshadows over eyeshadows over my humble self. 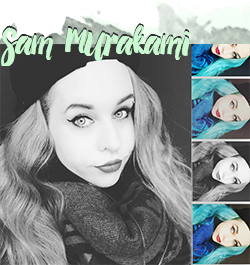 Thank you so much, Sanae. Just. Gorgeous. 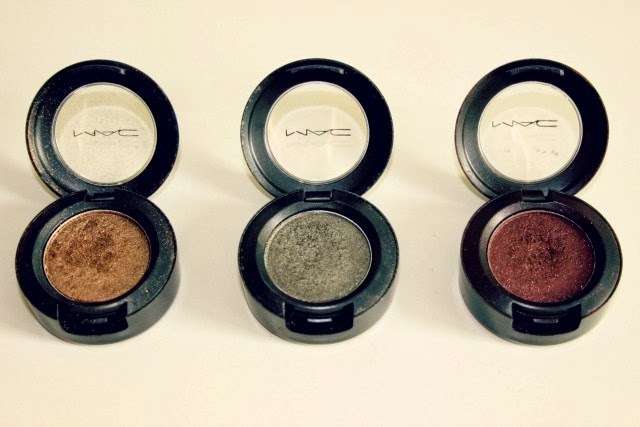 I really love the two golden/copper shades, they look amazing and will probably last me forever and ever and ever. 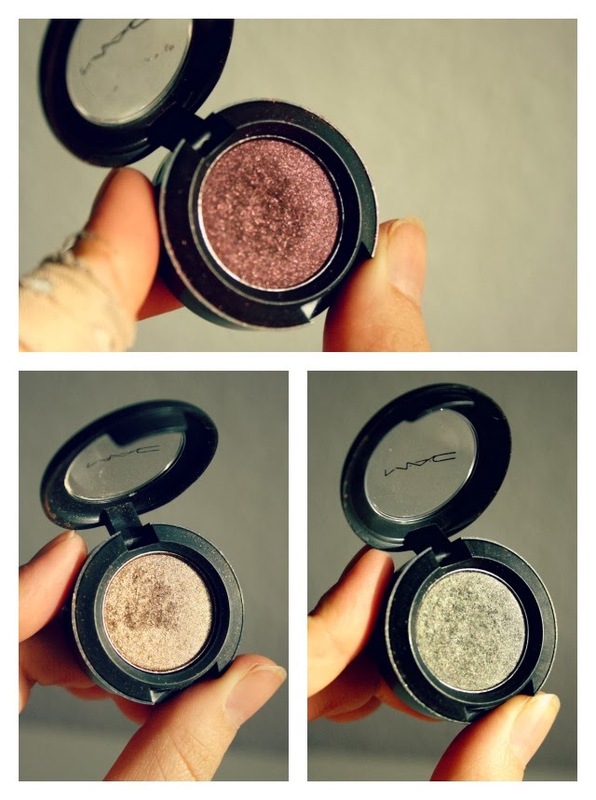 Close-up :D Look ar that amazing shimmer! Unfortunately, I totally forgot to swatch those.. how could I forget to swatch eyeshadows. 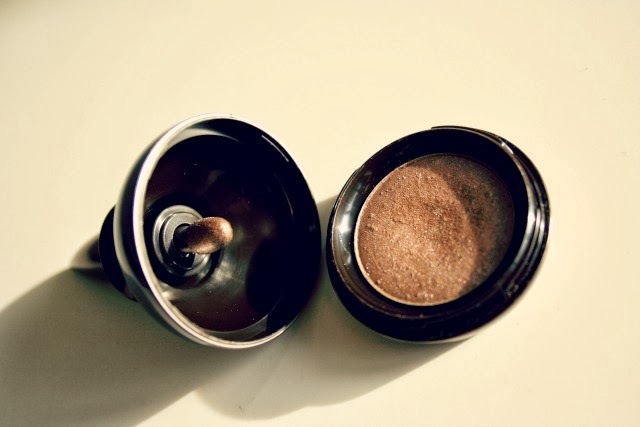 What kind of Blogger am I. Swatching eyehadows should be on my priority list on #1. 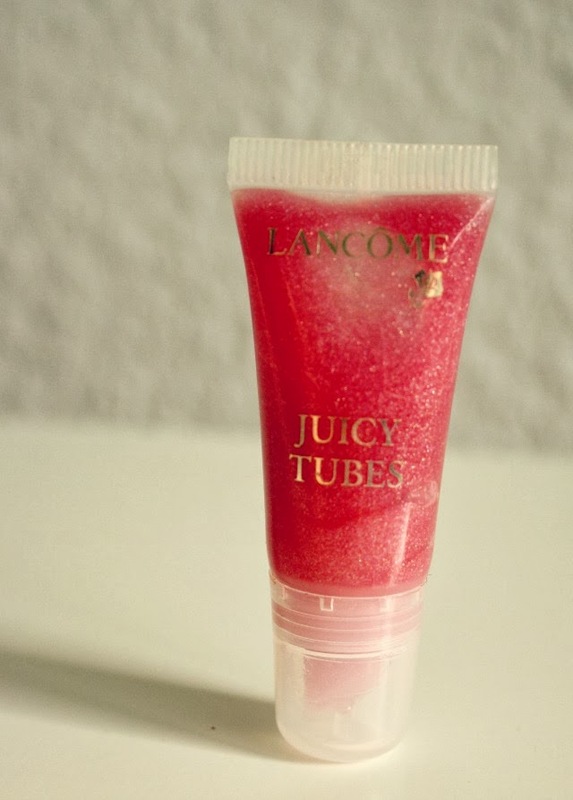 Juicy Tube from Lancôme. I once had a very similar lipgloss from Maybelline which I liked a lot. 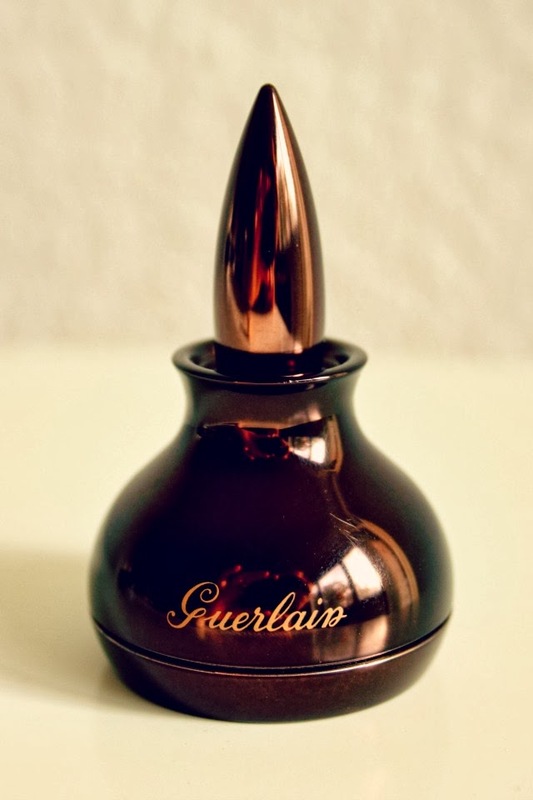 It has a slight pink tone when applied on lips and a good amount of shimmer. It's more on the sheer side so perfect for everyday life! :) I swatched this but wasn't able to get a good picture since lighting on that day wasn't good and all my pictures turned out blurry .__. 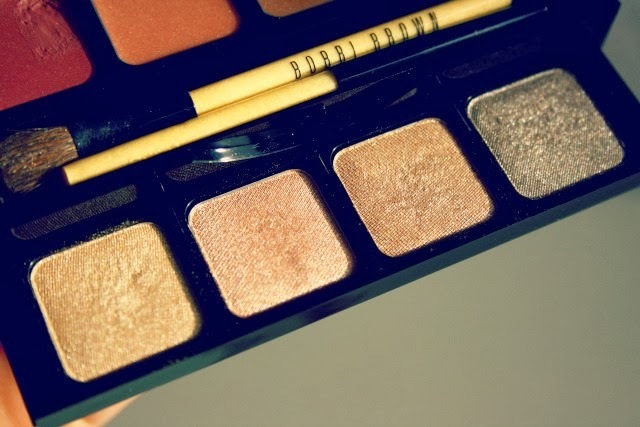 My favorite out of everything - Bobby Brown lipgloss + eyeshadow palette! 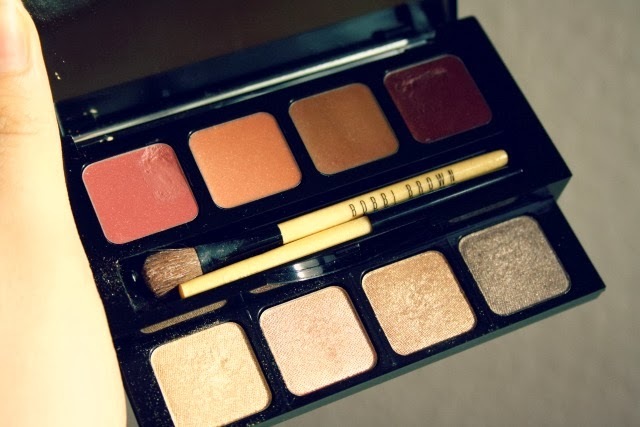 <3 I think the four eyeshadows look amazing and would be perfect for university or work :) It is really handy and perfect for travelling which I am doing a lot. They are also very decently pigmentated. My friend also gave to me some foundation sponges from MAC which was perfect timing because I soon wanted a new one - I am sponge-crazy, I love to use them but I think them highly non-hygienic, I wish I could use a new one everyday xD I'm cleaning them afterwards of course, but somehow.. I don't trust this. If you're interested in swatching/review on any of these products just tell me and I will be happy to do so :) I will spent the rest of this day in front of my laptop, trying to focus on university stuff. I'm pretty good on track so far with required readings but I try to keep it up so I get to relax after a while when hopefully most of the things is done.. pretty sure I'll make a single university update post soon enough :) If you have questions, please feel free to ask! Wish you all a pleasant Saturday, much love!